Country Living with nearby amenities! 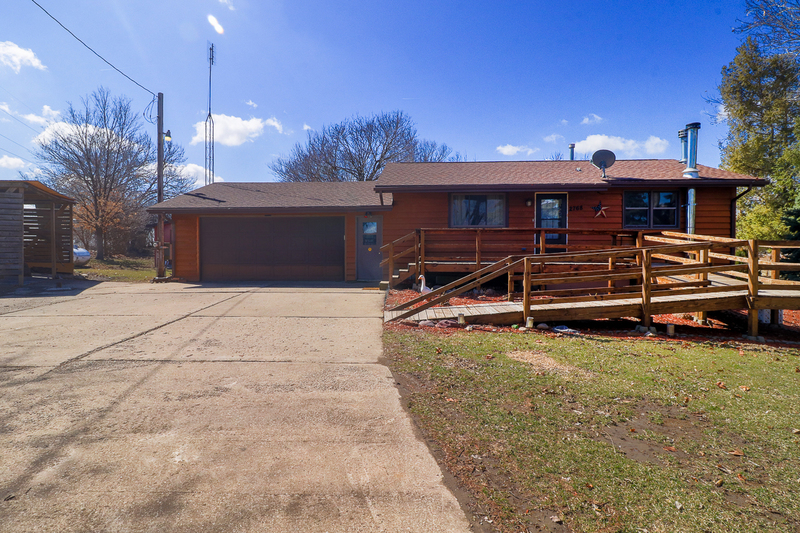 This Disability Accessible Ranch is situated on an beautiful nearly one acre of land surrounded by fields just West of Bloomington. Huge 3 Season Room off the back of the home – creates lots of warmth when the sun is shining! Two living spaces, one on each floor. Two full baths, one on each floor. Eat-in kitchen with ample cabinet space. Tons of updates to the important mechanicals! New Roof w/ 30yr warranty in 2013, new HVAC in 2012, Full House Automatic & Self Checking Generator 2012, new wiring throughout in 2014, Private Septic was moved to backyard and replaced in 2009 & last cleaned 2016 (not due for cleaning until 2023), Woodburning fireplace was replaced and cleaned out in 2012, Woodstove was cleaned December 2018, Propane was refilled January 2019. As you can see, this house will be maintenance free for years to come!